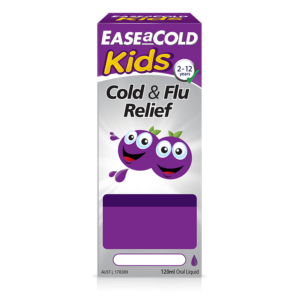 EASEaCOLD Kids Cold & Flu chewable tablets are specially formulated with Black Elderberry, Echinacea, Zinc, Vitamin C and bioflavonoids to help reduce the duration of common colds and relieve the severity of cold & flu symptoms including runny nose, sore throat and congestion. Contains sulfites. Always read the label. Follow the directions for use. If symptoms persist, talk to your healthcare professional. Vitamins can only be of assistance if dietary intake is inadequate. 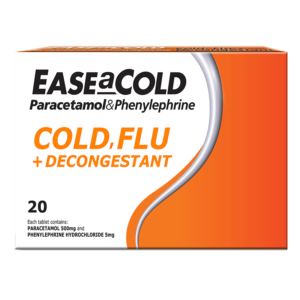 EASEaCOLD Kids Cold & Flu Chewable tablets helps relieve cold and flu symptoms including sore throats, coughing, congestion, runny nose as well as improves immune function to maintain your child’s healthy immune system. 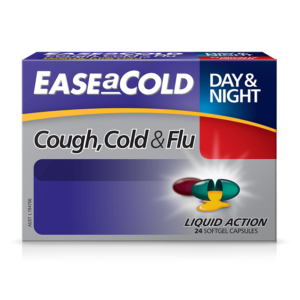 - Black Elderberry helps to reduce cold and flu symptoms and maintains immune system to fight illness. 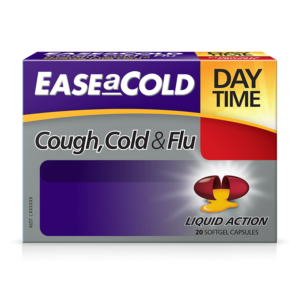 - Echinacea supports immune health, shorten duration of common colds and helps reduce severity of cold and flu symptoms. - Vitamin C & Zinc are necessary for normal immune system function. 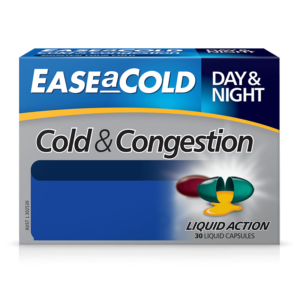 And provides overall immune system support to help build up immune defences. 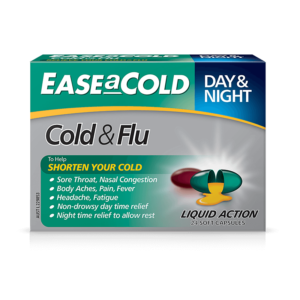 EASEaCOLD Kids Cold & Flu Chewable tablets can be administered to children as young as 2 years of age. 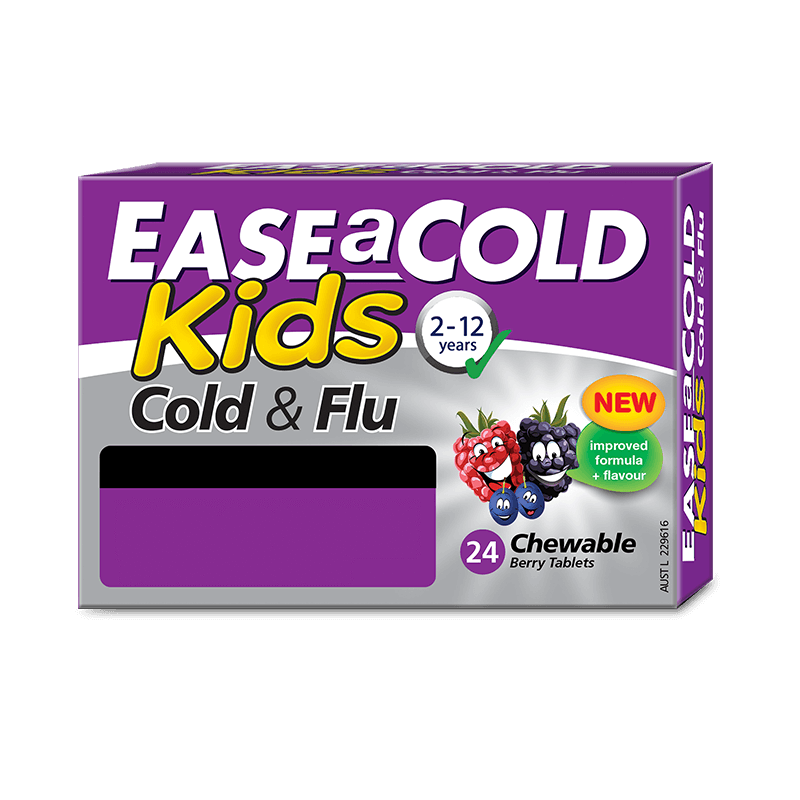 Not only are EASEaCOLD Kids Cold & Flu Chewables helpful in relieving symptoms, they have a delicious berry taste when they burst in the mouth! 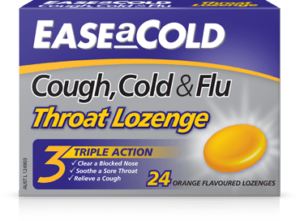 EASEaCOLD Kids Cold & Flu Chewables are made right here in Australia from only the best quality ingredients. Contains sulfites, sucralose and sugars. Children 2-3 years: Chew one tablet 2 times daily. Children 4-8 years: Chew one tablet 4 times daily. Children 9-12 years: Chew two tablet 3 times daily. or when immune health is weakened. Children 4-8 years: Chew one tablet daily. Children 9-12 years: Chew two tablet daily.